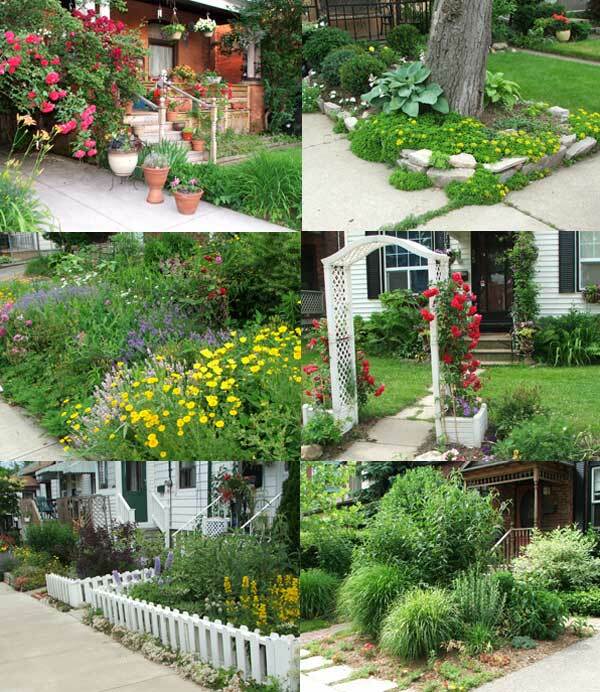 It's my 2010 summer holiday, and I've been wandering around Hamilton (Ontario) enjoying the front yard gardens. It's comforting and inspiring seeing what ordinary gardeners like to grow. There's a huge variety of planting styles and designs to delight a visiting out-of-season gardener. I've seen roses and daylilies, and the most beautiful hosta displays ever (apologies to the Moosey Garden, but you don't quite measure up). Garden accessories include benches, low, decorative white picket fences, arches, and sculpture. Some gardens are flowery, using the English Cottage Garden look. Others celebrate texture with tall clumps of grasses. Sometimes there are tiny patches of lawn, or shrubs, or perennials (Perovskia and Heuchera are popular). And so many amazing hostas - I've never seen such wonderful specimens, with fat, slug-free leaves. Those Moosey hostas back home need to shape up! And the nicest thing of all? The front yards are open to view, with no fences. So these gardens are freely shared, and this leaves the visitor (me) with friendly feelings. Yippee! I'm welcome to peep, and check, write down the things I like, and even take photographs - hopefully! 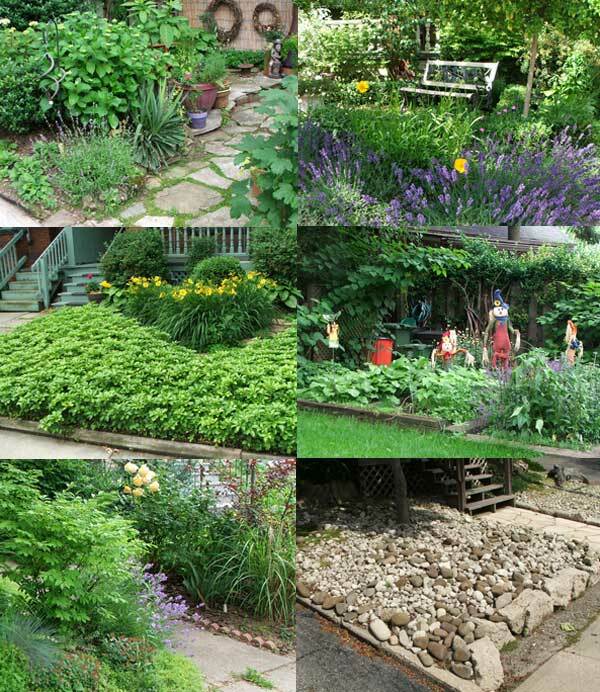 I didn't talk to any of the garden-owners, and therefore couldn't ask anyone permission to take or use photographs of their front yard gardens. I hope they'll accept my sincere thanks for sharing such summery beauty. I really hope nobody is too shy and wants their front yard photograph removed (but of course I'll do it, at once, if asked). And if anyone can share their hosta-growing tips, please get in touch. I need your advice urgently before next spring!